It’s here! Apple just released the latest version of iOS today, Monday, March 25. Version 12.2 has seen six beta releases, spanning the course less than three months. The new update sports 22 awesome features, including new Animoji, air quality reports in Apple Maps, and AirPlay 2 support for compatible TVs, in addition to a slew of new UI tweaks and redesigns. The release of 12.2 itself comes at an odd time. Typically, Apple releases new software at 1 p.m. EDT (10 a.m. PDT). However, today is certainly unusual, as Apple held an event to announce Apple News+, Apple Card, Apple TV Channels, and Apple Arcade, among other new services. Apple established on stage that 12.2 — in addition to macOS 10.14.4 — would release at some point during the day. If you’re a beta tester, you’re already familiar with all the new features and changes coming with this new release. While iPhone X devices will get new Animoji, all compatible iPhones will see UI tweaks, such as a redesigned on-screen Apple TV remote and Control Center tile; a new “About” page layout, including lowercase “s” and “r” on iPhone XS, XS Max, and XR; and new icons for Screen Mirroring, AirPlay, and News, just to name a few. 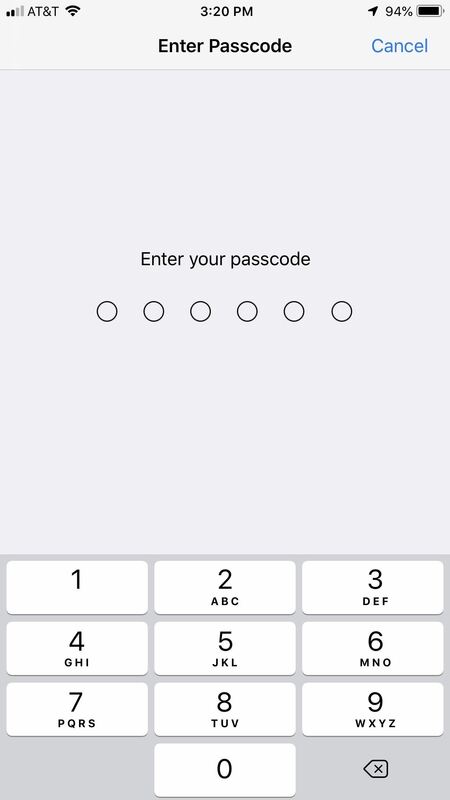 To download and update your iPhone to iOS 12.2, open the Settings app. 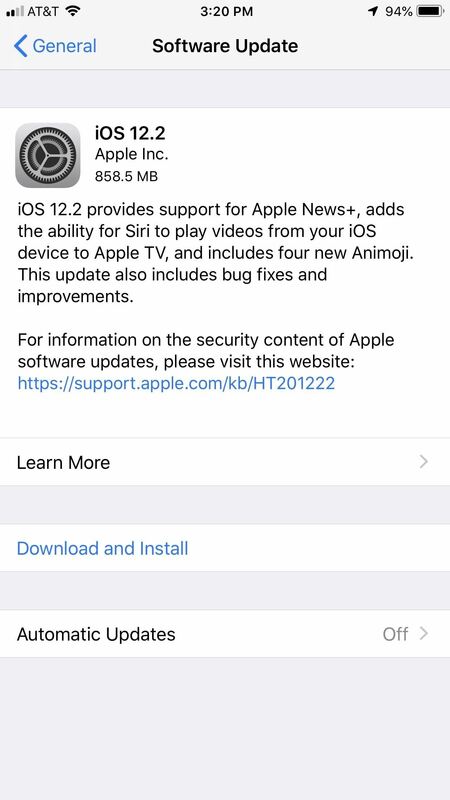 Tap “General,” then select “Software Update.” You will see “iOS 12.2” ready to be downloaded. Go ahead and follow the instructions on the screen to download and install the new software. Don’t worry if you don’t see the update right away — it can take some time for iOS updates to roll out to all devices. Just keep checking this page periodically.